Caption: The Dig Safe flag flies over Toronto City Hall as Deputy Mayor Denzil Minnan-Wong proclaims April as Dig Safe Month. 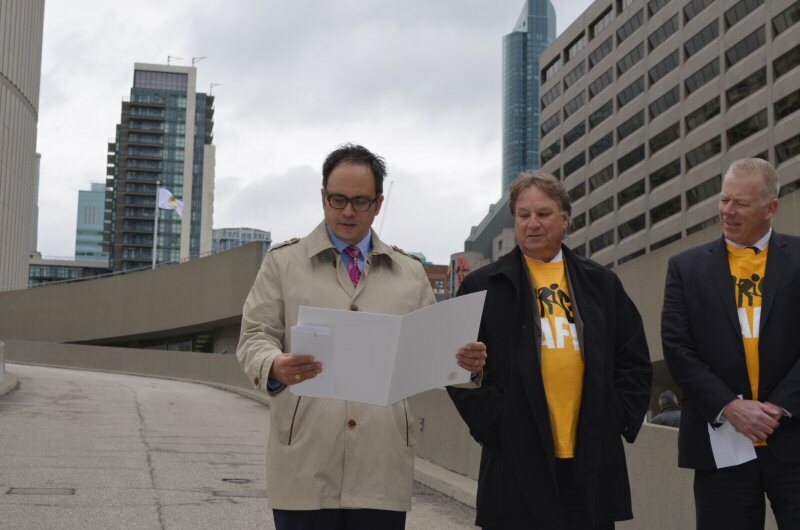 President of Enbridge Gas Distribution Glenn Beaumont (middle) and Ian Munro, President and CEO of Ontario Regional Common Ground Alliance (far right), supported Minnan-Wong as they highlighted the importance of digging safely. There are thousands of damages to underground utilities each year as a result of unsafe digging. To view the first photo associated with this release, please visit the following link: http://www.marketwire.com/library/20160401-Dig-safe-month.jpg. To view the second photo associated with this release, please visit the following link: http://www.marketwire.com/library/20160401-dig-safe-photo.jpg. 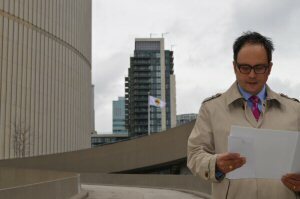 The Dig Safe flag flies over Toronto City Hall as Deputy Mayor Denzil Minnan-Wong proclaims April as Dig Safe Month. President of Enbridge Gas Distribution Glenn Beaumont (middle) and Ian Munro, President and CEO of Ontario Regional Common Ground Alliance (far right), supported Minnan-Wong as they highlighted the importance of digging safely. There are thousands of damages to underground utilities each year as a result of unsafe digging.